ODYSSEY’s Insight Production Server is a versatile four channel playout system designed for studio and OBVan environments. Having wide range of supported wrappers and codecs makes Insight an excellent tool for media contribution and general video playout tasks. The system supports up to four SD, HD or optionally all of them configured as a single 4K channel, and channels can be teamed for video + alpha output. Insight has a full web interface that allows users to control the server from any device. Security and integration are key aspects on system design. User, groups and security attributes brings confidence to media manipulation, but a relaxed security mode is also available for a simplified operation on trusted environments. Different interface facets allow appropriate information to be exposed to different user roles. 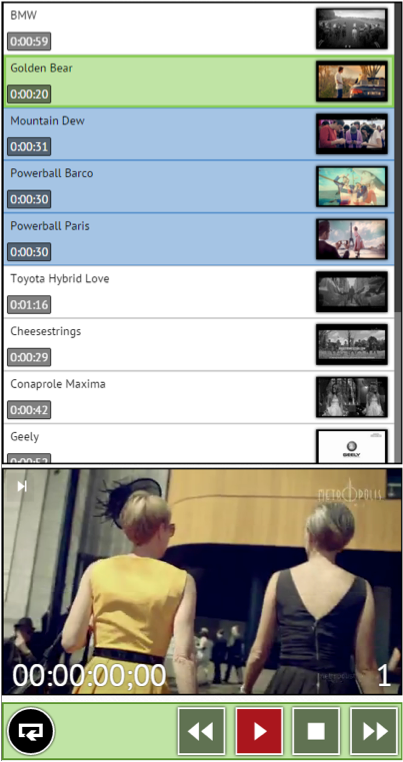 System video is streamed to web client instances to show actual content, allowing users to visualize and control Insight from a single computer screen. Studios and production environments usually have complex interactions between an assorted set of devices, which are coordinated either through human interaction or proprietary links. Insight's flexible event processor allows to connect multiple devices and interact with video switchers, routing switchers, CG generators, GPIO connected devices and other studio equipment to orchestrate event triggering for a seamless production. Insight Production Server is a tool conceived for evolving infrastructure that requires flexible file support, ease of use and event synchronization.